As the only European finalist in the prestigious Masterprize 2001 International Composing Competition, Alastair's exciting, stimulating and accessible music is fast building a significant reputation. Along with concert performances and broadcasts around the world, he has contributed music for film and TV including Aardman Productions' Chicken Run and Dreamworks' Shrek. Happy, The Grand Prix, What a Count! Alastair King was born in 1967. He studied Music at Bath College of Higher Education where he graduated with First Class Honours in 1991. He was awarded a British Academy Studentship which took him to Birmingham University and then a Fulbright scholarship which took him to the University of Kansas where he graduated with his second Masters degree in May 1993. Most recently Alastair was the only European entry to reach the final of Masterprize 2001. His work, HIT THE GROUND (RUNNING, RUNNING, RUNNING), was recorded by the BBC Philharmonic and broadcast worldwide as well as released on CD. The London Symphony Orchestra, conducted by Daniel Harding, performed the work at the Barbican Centre in October 2001 to a live radio audience in over 30 different countries. Alastair has been Composer-in-Residence at Bushey Festival (1995-1999). He is currently Composer-in-Association with Bath Philharmonia, who commissioned and gave the first performance of HIT THE GROUND (RUNNING, RUNNING, RUNNING) and Composer-in-Residence with the Amadeus Orchestra who commissioned his overture IRPY and the music theatre piece, DANCE MARATHON ($1000 STAKE). TIME LET ME PLAY was commissioned by The Welsh National Opera's Flute, Viola & Harp Ensemble and performed at The Welsh College of Music and Drama in May 2001. In October 1999 he began working with Rupert Gregson-Williams on various film and TV projects including music for the FIFA World Cup 2002. Alastair has supplied additional music for BBC's HAPPY BIRTHDAY SHAKESPEARE, ABC's PRINCESS OF THIEVES and Aardman Productions' CHICKEN RUN. He orchestrated and conducted Jim Henson Production's JACK AND THE BEANSTALK - THE TRUE STORY and wrote additional music for DreamWorks' animated feature SHREK. 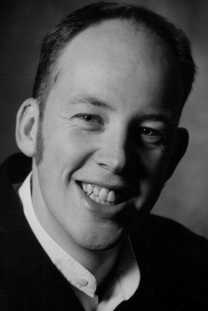 In May 2001 he provided the score for Blue Mountain Pictures' short film STORM, nominated for a 2001 BAFTA Cymru award. He recently worked on SPY GAME for Universal Pictures, and orchestrated and conducted THE WAY WE LIVE NOW for the BBC and Dragon Pictures' feature film THUDERPANTS. Alastair's music is published exclusively by Chester Music.